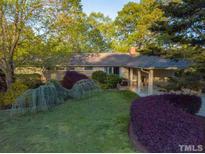 Brandywine - Great location in quiet countryside yet mins from 540, shopping, restaurants & Falls Lake! MLS#2245668. 5019. Exterior painted within past 2 years & many light fixtures recently upgraded. MLS#2249688. 1710. 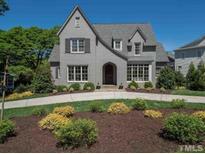 Bedford At Falls River - Enjoy convenient & comfortable living in sought-after Bedford! MLS#2248643. 983. Easy access to downtown as well as both 540 & 440 MLS#2249718. 982. Check out the trees and vegetation, this yard is full of color. 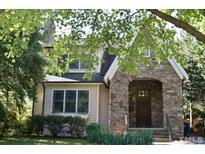 MLS#2249777. 983.
gas logs, hardwoods, ceiling fans, crown molding & chair rail, energy efficient insulation , separate shower in master, recessed lighting, granite countertops, ceramic backsplashes, covered back porch. 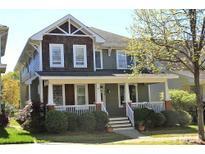 MLS#2249819. 2418. Forestville Farms - Fenced in garden area in the backyard to grow your own vegetables. MLS#2249811. 1720. Backyard is fenced and has a storage shed. In popular Gatewood. MLS#2247863. 4883. Valley Stream - The back deck and fenced-in yard are the perfect outdoor amenities - just in time for spring! MLS#2249279. 5191. Cardinal Grove - Low maintenance exterior and in a great location. This is a must see! MLS#2249844. 1709. 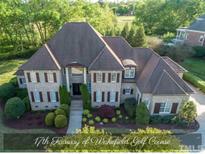 Tealbrook - This home is a must see! 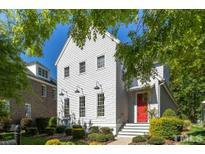 MLS#2249834. 3846. 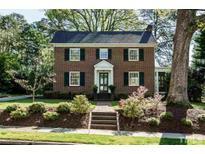 Very close to Ravenscroft, Whole Foods and all that Raleigh has to offer! MLS#2246288. 297. Multi level decks, brick patio, fenced yard. MLS#2249366. 4542. 2590sf Unfin. Basement. Fenced Rear w/Buffered Privacy. MLS#2249483. 2678. Nursery: BeadBrd Wainscotng! Walkn Storage! Screen Porch & Deck! MLS#2249385. 1128. Heritage Point - 3RD floor offers Bonus or Bedroom w/bath & WalkInStorage. No City Taxes!! MUST SEE! MLS#2249604. 1320. 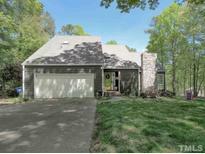 Mason Ridge - Huge Deck overlks Wooded Yard! seperate Garage/Barn Bldg! MLS#2249443. 1128. This is a must see property! MLS#2249309. 4852. Bedford At Falls River - Back yard w/large deck, irrigation, landscape lighting. Clubhouse, pool & tennis. 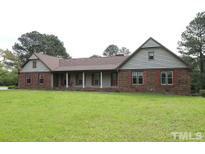 MLS#2249577. 4025. Woods Of Tiffany - Basement is perfect for in-law suite w/ exterior entrance. MLS#2245484. 297. Close to Falls Lake and 540. NO SIGN MLS#2249478. 983. Turner Downs - Special Financing incentives avail w/ SIRVA MORTGAGE. MLS#2249350. 4333.